"We can't continue to borrow." 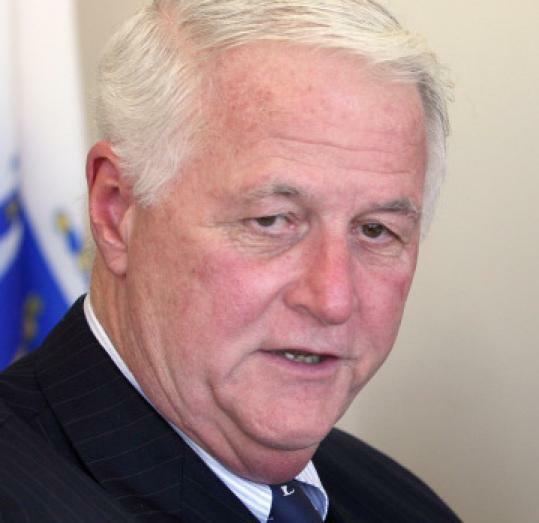 -- William D. Delahunt, cosponsor of the bill to raise $10 billion a year for water upgrades. WASHINGTON — An effort in Congress to spend tens of billions of dollars to fix the nation’s aging water systems is facing stiff opposition from soda and bottled water companies, which are major beneficiaries of publicly owned supplies but are fighting a proposal to tax them to pay for the upgrades. The chief sponsor of the legislation said the catastrophic Massachusetts Water Resources Authority rupture in Weston on May 1, which affected 2 million people in Greater Boston for three days, could reshape the debate in Washington by highlighting the urgent need to find new ways to pay for improved pipelines, pumping stations, and backup systems. “We’re zeroing in on people who get a disproportionate benefit and rely on safe, secure water sources,’’ said Representative Earl Blumenauer, an Oregon Democrat who introduced legislation that would raise $10 billion annually — including $3.5 billion for drinking water systems — through a tax on bottlers and other water-dependent industries. The proposal has potentially far-reaching consequences because it would substantially increase the role of the federal government in financing repairs to municipal tap water systems, something advocates say is long overdue. But soda and bottled water companies — already battered by attacks from environmental groups over their plastic packaging — said the cost of upgrading such components as reservoirs and aqueducts should be shared more broadly. Tracey Halliday, a spokeswoman for the American Beverage Association, which represents big soft drink companies, said they also are opposed to the legislation. Bottlers use municipal water for many drinks, including filtered and distilled water. Company executives contend that they are modest water consumers compared with farms and factories. Brian Flaherty, a vice president of Nestlé Waters North America, the nation’s biggest bottled water company, said its products account for about 0.001 percent of all water used in the United States. That includes bottled water from privately owned springs such as Nestlé’s Poland Spring in Maine, which would also be taxed under the plan. But Blumenauer and his allies maintain that the alternative to the proposed 4 cents-per-bottle tax would be to force the upgrade costs on all taxpayers. The proposed tax would exempt juice, milk, and alcoholic beverages. There is little dispute that the country faces crumbling water systems in many cities. But while Congress has long recognized the problem, lawmakers have struggled to find a funding source as deficits balloon. Late last week, Representative John F. Tierney, Democrat of Salem, joined Delahunt as a cosponsor. “It was only last year that Gloucester residents had to boil their water for weeks, which resulted in great cost to families and small businesses. The recent water main break in Weston only adds to the urgency to ensure that our nation’s infrastructure is improved and modernized,’’ he said. Water systems across the United States face about $335 billion in repairs and other work over the next 20 years, according to a survey by the Environmental Protection Agency, including $6.8 billion in Massachusetts. About 240,000 breaks occur each year, and aging pipes leak about 7 billion gallons a day. D. Wayne Klotz, a civil engineer in Houston and former president of the American Society of Civil Engineers, which backs Blumenauer’s plan, said local authorities have been continually playing catch-up as a result of inadequate funding. The broken clamp that caused the break in Weston was only seven years old, but in many parts of Massachusetts, pipes and pumping stations are decades old. The proposed money could also be used for backup systems, a spokeswoman for Blumenauer said. Massachusetts officials have said a backup system might have ameliorated the effects of the Weston pipe break. Maintaining drinking water systems has traditionally been a state and local responsibility, said Tom Curtis, the deputy executive director of the American Water Works Association, which represents municipal tap water systems. Almost no federal aid was available until Congress set up a state subsidy program in 1996. While not talking about Massachusetts specifically, Curtis said most of the blame for the decrepit state of water infrastructure nationwide belongs to local politicians who have been reluctant to risk voter ire by raising water rates. Congress now provides about $800 million of the roughly $30 billion spent every year on clean water, Curtis said, with states and cities paying the rest. Massachusetts received about $70 million from Washington this year, but $52.2 million of that was one-time stimulus money specifically for drinking water projects. Scott Jordan, the state’s deputy secretary for capital finance and intergovernmental affairs, said Massachusetts was able to stretch those dollars by using them as collateral for water bonds. Federal funds had helped underwrite $908 million in drinking water infrastructure statewide since the program’s inception, he said. Ten projects overseen by the MWRA received federal funding through 2009, according to figures provided by the agency, including $2 million for the Quabbin Reservoir, $140.1 million for the Walnut Hill treatment plant in Marlborough, and $200,000 for the aqueduct supply mains in Weston. The MWRA is also seeking $34 million in federal funds to help build a UV disinfection system at the Carroll treatment plant in Southborough, and $40.4 million to complete a covered storage facility at Spot Pond in Stoneham. Blumenauer’s bill would also slightly raise tax rates for big companies and impose a tax on products designed to go down the drain — including toothpaste and toilet paper — to pay for waste-water system upgrades. The prospects of Blumenauer’s bill are uncertain. The Oregon representative acknowledged that persuading Congress to approve new taxes to help local water authorities would be an uphill battle.